The mother of Michael Brown, the unarmed teenager who was fatally shot by a police officer in Ferguson, Missouri, four years ago, said Friday that she is running for city council in the St. Louis suburb. 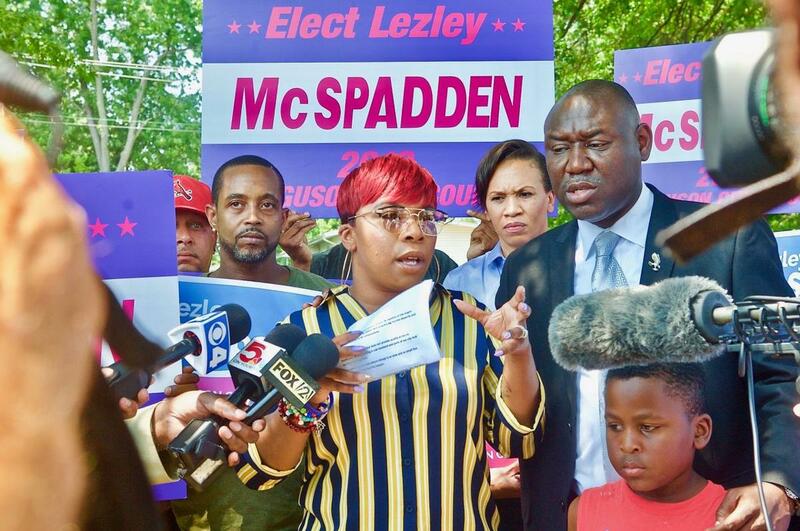 Lezley McSpadden announced her candidacy along Canfield Drive, near the exact spot where her son, who was black, was shot and killed on Aug. 9, 2014, by a white police officer. "Almost four years ago to this day, I ran down this very street, and my son was covered in a sheet," McSpadden said, fighting back tears. "I learned to walk again, and this is one of my first steps." McSpadden said she plans to focus on three issues: community policing, economic equality and access to health care for Ferguson's young children. She said she anticipated that some people might ask why she was qualified to seek elected office. In response, she said: "If a mother had to watch her son lay on the street for four hours, and watch our community be completely disrespected by the people we elected, what would you do? "You would stand up and you would fight, too."